If you’ve been trying to watch what you eat, you know what temptation is. As satisfying as it can be, diving into a mess of fresh beaver can leave a bad taste in your mouth. 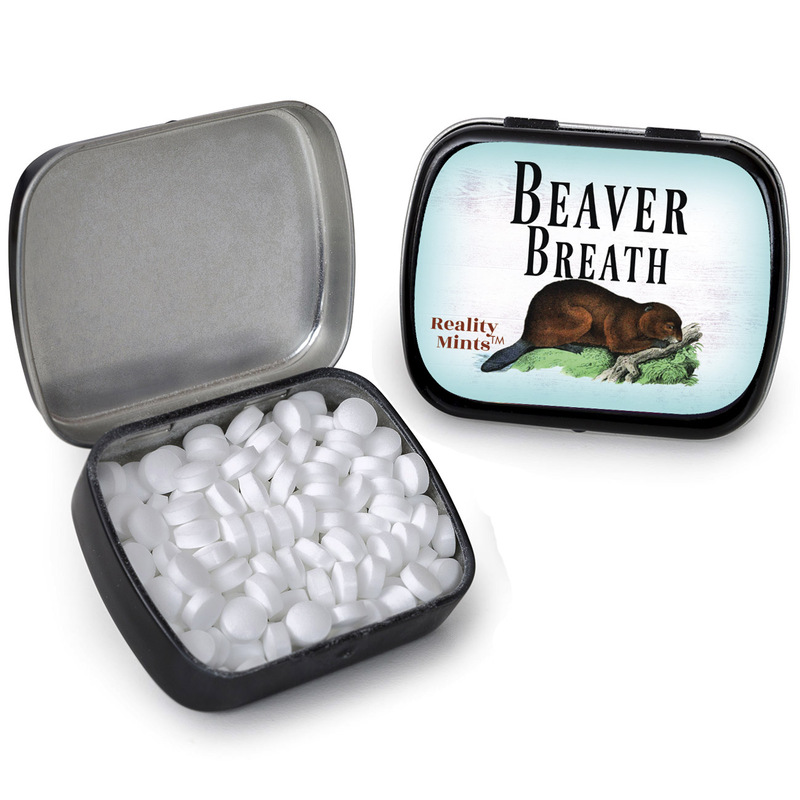 Before you do anything else, freshen up with some Beaver Breath Mints. That blast of minty flavor will cover up any traces of what you’ve been up to. Nobody will ever know you spoiled your dinner by indulging in some tasty beaver. Give friends a tin of giggles with a side of fresh breath with Beaver Breath Mints. These sweet wintergreen mints will dam sure bring on the laughs. 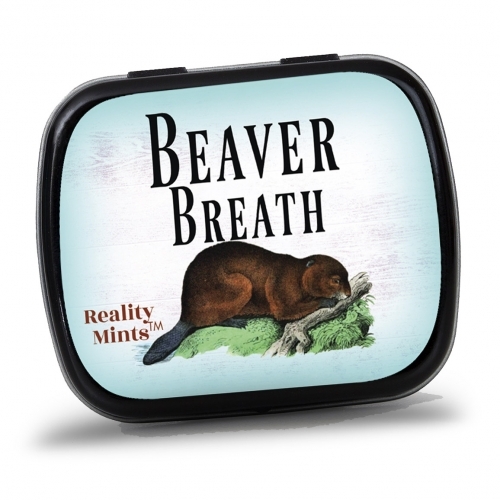 Beaver Breath Mints are a hilarious gift that will catch anyone off guard. 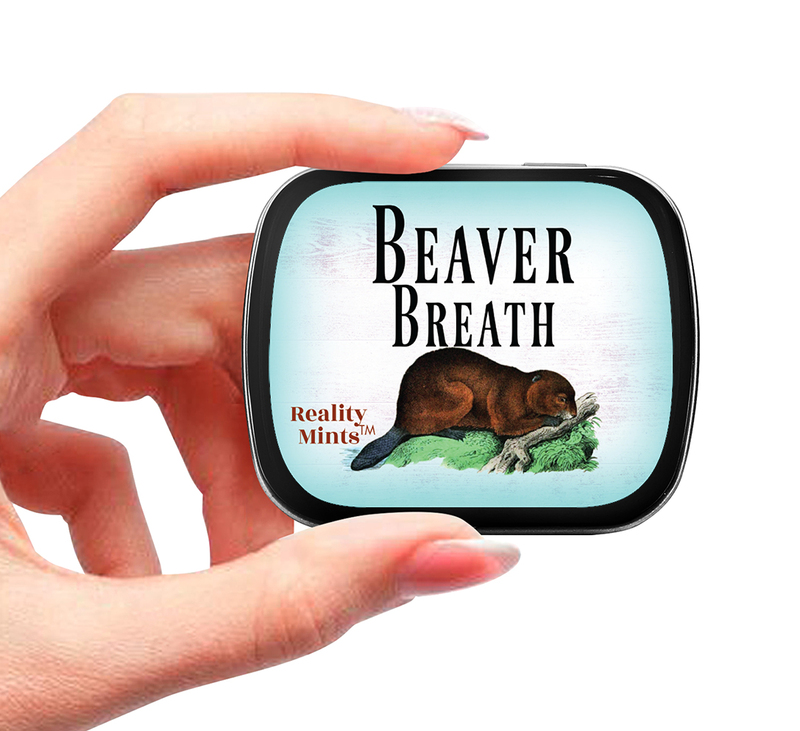 Filled with wintergreen breath mints, this weird beaver gag gift is a silly stocking stuffer or addition to birthday gift bags, care packages, or Easter baskets for friends.